In a week that saw Manchester united dumped out of the Carabao cup by Derby county at Old trafford , Manchester united suffer yet another shock defeat this time against Westham , it started early at the London stadium when Fillipe Anderson back-heeled finnish from Pablo Zabaleta cross 6 minute into half time , the host double their lead 2 minute before half time through Lindelof own goal, in 71 minute marcus Rashford pull one back for the visitors but Westham restored their two goals lead through Marko Arnautovic strike three minutes later. Manchester united have struggle this season on and off the field , with Pogba being stripped of the vice-captain armband, a strained relationship between Mourinho and the world cup winner remain the biggest problem Manchester united have had this season, the £89 million signing criticise his approach to the home draw against Wolves last weekend saying that Manchester united should be playing attacking football instead of defending . Manuel Pellegrini's side who recover from a poor start to the season have won 7 points in the last 3 games so far. Arsenal return to winning way have boost their hope of finishing in the top four this season , Unai Emery side have won seven straight matches this season , a two late goals against watford on saturday coupled with an extraordinary performance boost the gunners hope of archiving a great feet this season , Craig Cathcart turned in in Alex Iwobi's low cross from the right into his own net to give Arsenal the lead in the 81 minute, two minutes later the Nigerian was involved in the build up to Mesut Ozil goal, Arsenal have now won 5 straight matches that push them up to fifth place in the table. After a goalless first half at Godison park which saw Gilfi Sigurdson miss from spot , the Bosnian come back strongly in the second half with a left foot from the edge of the box to give Everton the lead, 10 minutes later , substitute Cenk Tosun double the lead with a glancing header at the far post from Theo Walcot cross before Sigurdson scored his second in the 89 minute. Fulham have not won at Godison park in 23 meetings . Two first half goals saw Mauricio Pochetino's side move fourth in the premier league table , Harry Kane score twice in the first half with first coming from a header from Kieran Trippier right wing cross , Kane added the second from the spot kick after Danny Rose was brought down by Florent Hadergjional inside the box , the defeat leave the Terriers waiting for their first win after seven games. Manchester city continue their impressive form in the premier league with a 2-0 win against Brighton and Hove Albion on saturday , Raheem Sterling put Manchester city on the lead after 29 minutes ,sliding home Leroy Sane cross, Aguero double the lead after a perfect run past the Seagulls defence to double the lead, the win means Pep Guardiola's side remain unbeaten in seven premier league matches and move to the top of the premier league table with 19 points . Newcastle united have lost all four of their home matches this season, picking just two points away from home , with club owner Mike Ashley attending his first home match since may 2017. 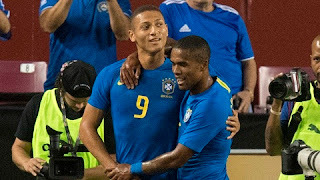 Jamie Vardy gave Leicester city the lead from the spot after Maguire shot appear to deflect off Andre Yedlin's arm before Maguire header from James Madison's conner seal the victory for the Foxe. Newcastle had two penalty appeals following two brutal challenges from Maguire on Ayoze Perez but both were waved away by referee Simon Hooper. Wolves continue their impressive start to the premier league with a 2-0 win at the Milleniux against Southampton on saturday , Ivan Cavaleiro open the scoring in the 79 minute with his first touch in the premier league this season , the Portuguese international found the back of the net after a great work from Adama Traore down the right before Castro Otto double the lead with 3 minutes before the end of the match. The win means Nuno Esperito's men have climbed to eight in the league table. 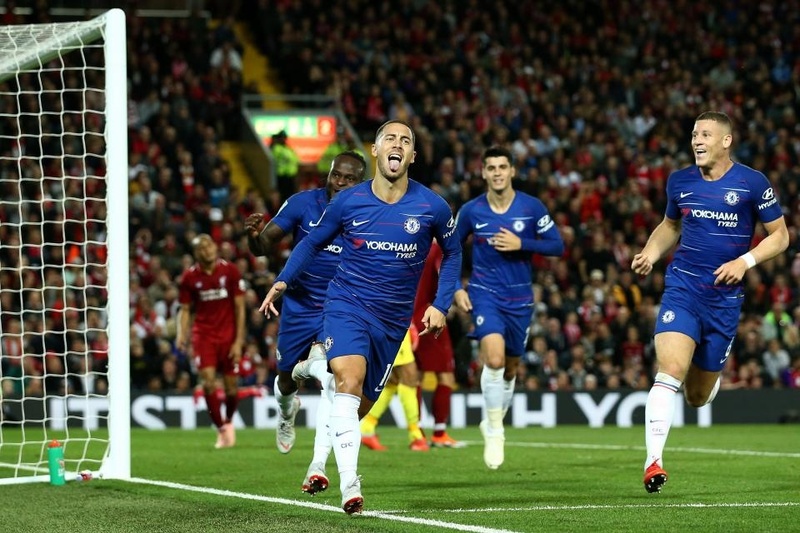 After beating Liverpool in the Carabao cup on tuesday , Maurizio Sarri's men took the lead through Eden Hazard in the 25 minutes before Danny Sturridge strike late to level for the visitors. Mohamed Salah deep in form continue after he wasted a lot of chances to put Liverpool in front before he was replaced by Shaqiri in the 66 minute, the Switzerland international miss a glorious chance late in the game before Danny Sturridge late strike settle the game in a draw. Cardiff city struggle since their return to the premier league continue as they are still waiting for their first win of the season, Cardiff city striker Josh murphy had his first half goal disallowed as the end goalless at half time , Iceland international Berg Gudmundson give the visitors the lead at 51 minutes but Murphy equalised for the blue bird just at hour mark , 10 minute later Sam Vokes header was enough to seal all three points for the claret.